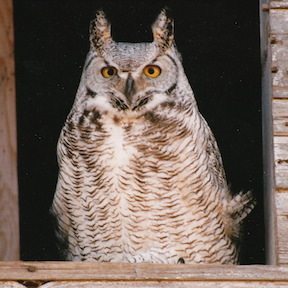 The Owl has observed that Me, Myself, and I are often troublemakers in the grammatical world. Me and I work in tandem to cause confusion, while Myself causes quite enough problems on its own. Today I’m going to talk about Me and I. Myself will get a post all of its own, next month. Here’s why I think we need to give a hoot about this sometimes troublesome trio. When we’re children, learning all the DOs and DON’Ts of the English language, there are few things we’re corrected about more often than Me and I. “Me and Janie are going to…” — “No, Janie and I…” we’re quickly told. This correction is important and necessary, but unfortunately it leads inevitably to more grammatical errors. We start to think it is wrong to use Me any time it is paired with another noun. If it is correct to say “Janie and I went to the playground,” then it must also be correct to say, “Give the ball to Janie and I.” Right? The Owl is shaking his head. In the second example, Janie and the pronoun referring to the speaker are the objects of the sentence. The word “to” is a preposition, showing the direction of the action. The action is found in the verb “give.” (As an imperative sentence, the subject “you” is unvoiced, but understood.) The personal pronoun to use when there is an action being done to that pronoun, is Me. As I did with the first example, a quick test of whether to use I or Me is to try the sentence with just the personal pronoun (make Janie go sit on a log for a while or something). In the second example, we said “Give the ball to Janie and I.” Let’s try it without Janie. “Give the ball to I.” No wonder the Owl was shaking his head! “Give the ball to me.” That’s better! Next month, the Owl will explain why the word Myself often gets his feathers in a grammatical twist. A Word With Beth is posted on the third Monday of each month. If you have any grammar or word use questions, please send an email to mail (at) flubs2fixes (dot) com OR ask in the comments below this post — I look forward to helping you with your grammatical conundrums. My daughter was skeptical when I told her b/c she is so used to everyone saying “I”, as well. Great post, Beth! There are many difficult, twisty words that need careful observation. And even if you feel that grammar can be ignored in favor of a sentence that sounds more pleasing to the ear, it’s best to assure yourself that there are many editors that will ignore you for just that type of tiny error! You are SO right, Aubrey! I wondered if someone might think that! Gotcha!! 😉 Thanks, Erik! Thanks, Susanna! I’ll make sure I also address himself and herself! This is great. I still get it wrong after all these years. I think mother made such a point of it that I purposely get it wrong. I will keep your points in mind. I look forward to the post on ‘myself’. Thanks, Darlene. I think many of us have a problem with this because we were corrected so often in our childhood. ACK! One of my grammar pet peeves! I’ve written about this subject as well, and am always glad when someone else does. Let us unite to end the abuse of MYSELF and the overcorrection of “and I”! 🙂 I’ll look forward to next month’s article! It is one of my biggest pet peeves too, Renee! I’m looking forward to this, too, because I get in a twist myself when I hear the misuse of “myself”!